I don't really understand what to do? Sorry, didn't manage to get many game elements into it (2 more skills, energy system, score, hp, and a final boss). Some of the time i allocated to working on the game got taken by more pressing issues. 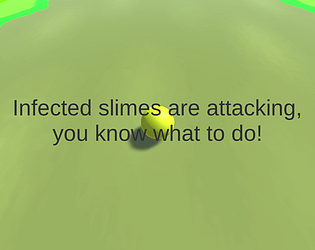 The end goal was to have the player progress through a the red smiles for a distance before encountering the boss slime.